The use of continuous-flow chemistry has shown to be an important tool in improving API manufacture. In the present paper, we report the use of continuous-flow reactors in the synthesis of the bicyclic side chain of antiretroviral Darunavir. 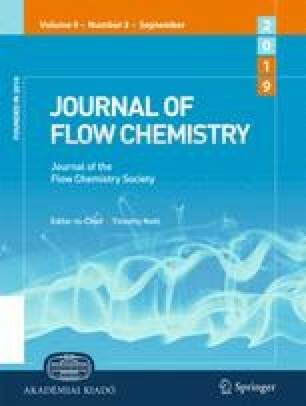 Supplementary material is available for this article at https://doi.org/10.1556/1846.2015.00031 and is accessible for authorized users. Supplementary material, approximately 463 KB.